Kino Lorber | 50 Westerns From The 50s. 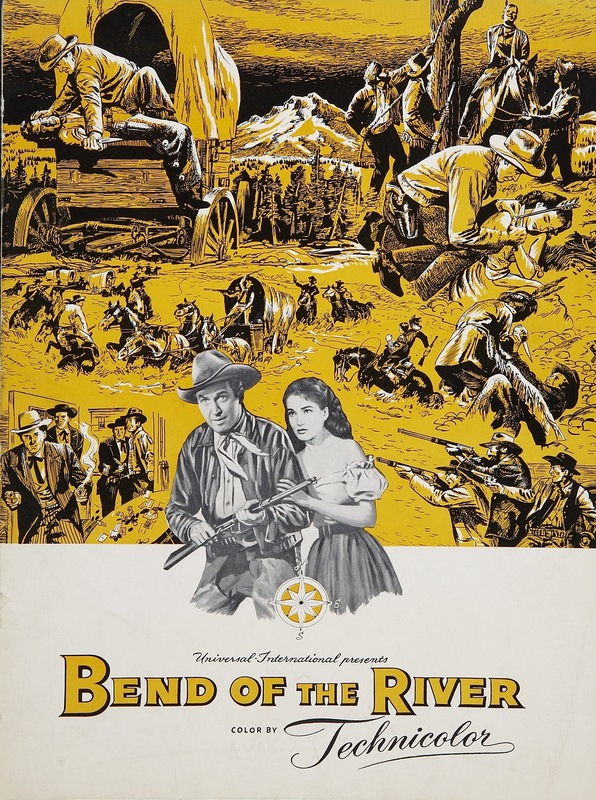 50s Westerns Blu-Ray News #267A: Bend Of The River (1952). Kino Lorber has given a solid release date for their Blu-Ray of Bend Of The River (1952) — April 16, 2019. This is the second of the Anthony Mann/Jimmy Stewart Westerns, and a very gorgeous thing in Technicolor. 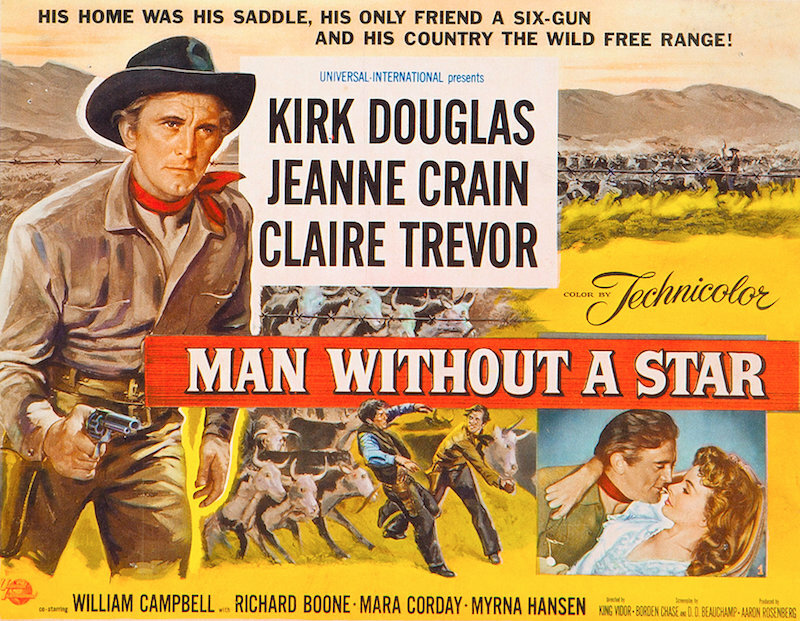 Which of the Mann-Stewart Westerns is best is a matter of personal taste, and probably a good way to get an argument going among fans of this stuff. But it’s easy to say that they’re all among the finest Westerns ever made — and absolutely essential. Providing a commentary for this release was indeed an honor, though in retrospect, wish I’d spent more time on Julie Adams. And while I have the chance, I want to thank Glenn Erickson of cinesavant.com for his help on this one. We got a back-and-forth email thing going about Bend Of The River that really helped me pull stuff together. Thanks, Glenn. 2018 In Review, Part 1. When I started doing DVD and Blu-Ray commentaries, it no longer felt appropriate to survey the best 50s Westerns DVD and Blu-Ray releases for the year. So, as a substitute (maybe a poor one), here’s a reminder of a few things we were treated to this year — and we’ll let all the praise, complaints or ranking come from you in the comments. Part 2 can be found next door at The Hannibal 8. 2018 didn’t see a lot of 50s Westerns turn up on DVD, but what turned up was certainly worthwhile. Mill Creek has come through with some terrific multi-picture sets over the last few years. They’re often Columbia pictures, and many have been available already as MOD releases, but they look great, the prices can’t be beat, and they’re big space savers as we watch our collections gobble up our square footage. The Durango Kid movies are fun, and this set gave me an excuse to really wallow in them for a while. Another Mill Creek set, this offers up eight William Castle Westerns, most of them done for Sam Katzman. This was very eagerly awaited around here, and many of us are hoping for a second volume. Twilight Time gave The True Story Of Jesse James a Blu-Ray release, giving us all a great opportunity to re-assess this Nicholas Ray picture — which was mangled by 20th Century-Fox. CinemaScope really benefits from 1080 presentation, and Ray is known for his great use of ‘Scope. It was about time somebody got around to the Ranown cycle in true high definition. So, where’s Seven Men From Now (1956)? 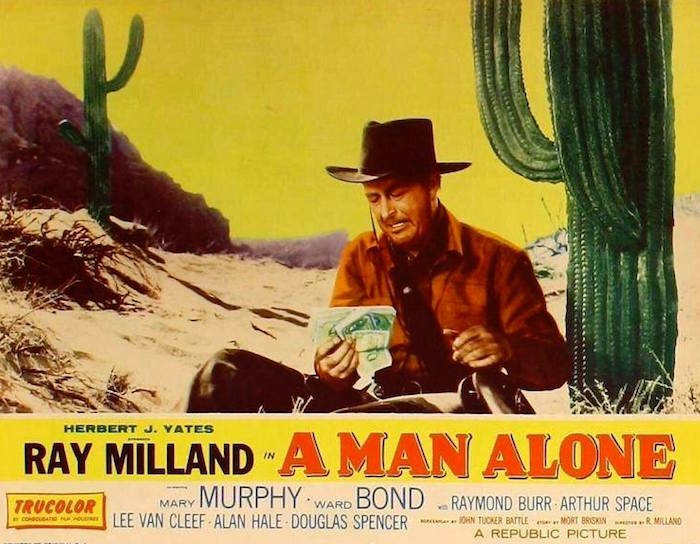 This under-appreciated Ray Milland Western got a thorough restoration from Paramount — and a nice DVD and Blu-Ray release from Kino Lorber. It even played at the Museum Of Modern Art. So there’s a few to get us going. What Western DVD and Blu-Ray releases stood out to you this year? 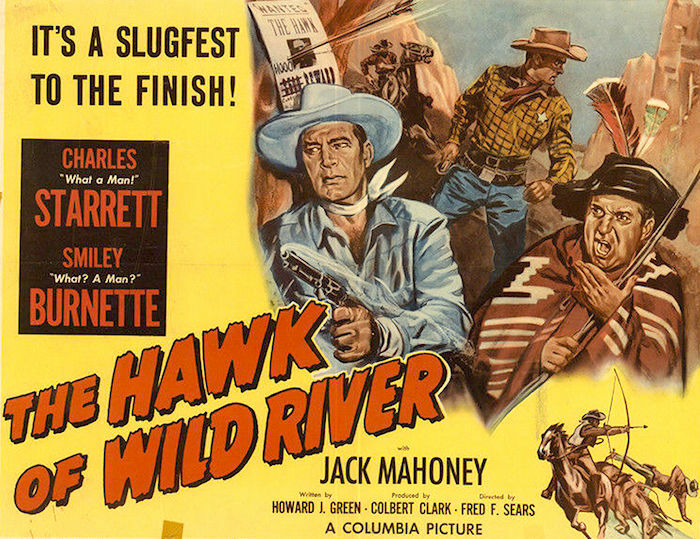 50s Westerns Blu-Ray News #267: Bend Of The River (1952). 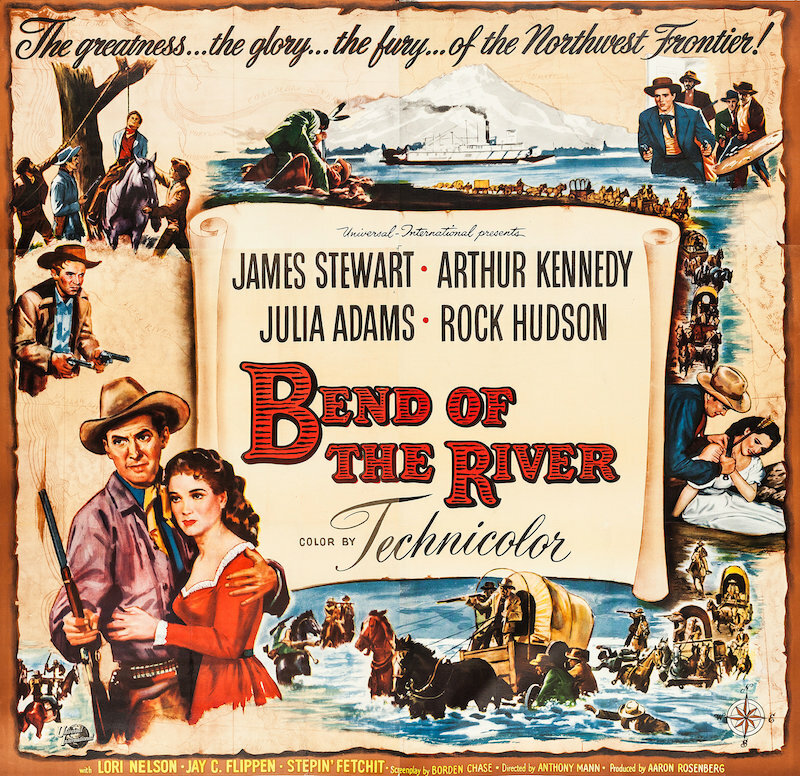 The second of the Anthony Mann/Jimmy Stewart Westerns, and a very gorgeous thing in Technicolor, Bend Of The River (1952) is coming to Blu-Ray from Kino Lorber. I’ll be putting together a commentary for it, and I can’t tell you what an honor that is. Which of the Mann-Stewart Westerns is best is a matter of personal taste, and probably a good way to get an argument going among fans of this stuff. But it’s easy to say that they’re all among the finest Westerns ever made — and absolutely essential. 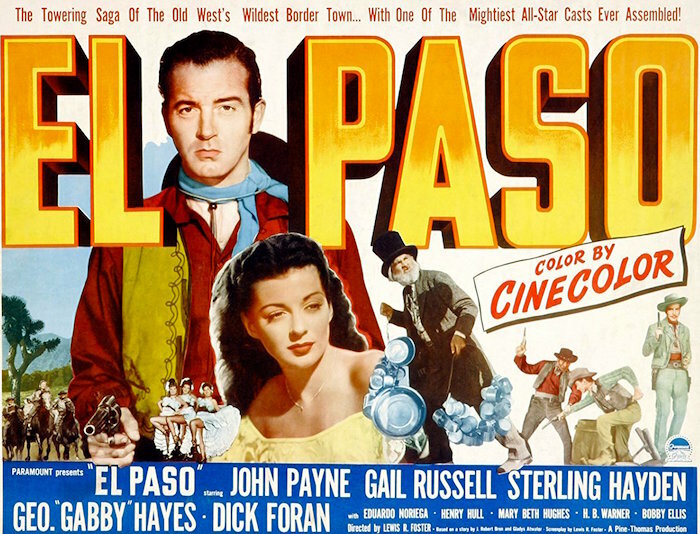 50s Westerns DVD/Blu-Ray News #261: El Paso (1949). Kino Lorber has announced their upcoming DVD and Blu-Ray release of the 1949 John Payne picture El Paso. Directed by Lewis R. Foster, and co-starring Gail Russell and Sterling Hayden, it was shot in Cinecolor. It’s a post-Civil War story, with a lawyer (Payne) coming to El Paso, Texas, and staying to clean it up. 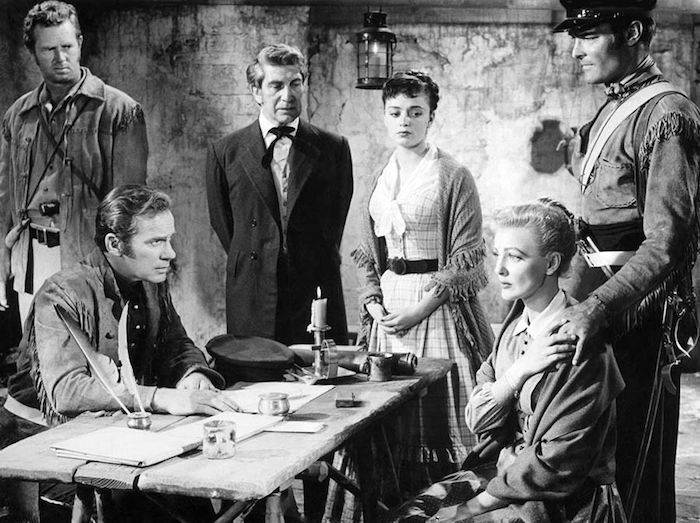 It’s a good picture with a great cast — I love Gabby Hayes in this. Payne is really cool, and Gail Russell is beautiful. 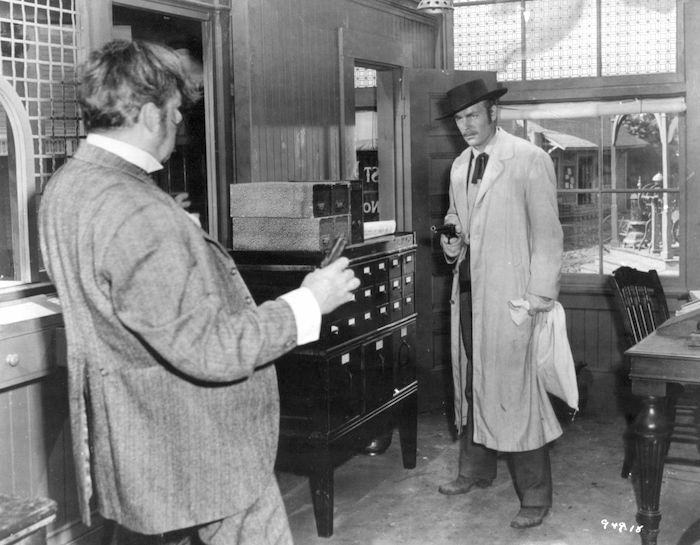 Payne and Lewis R. Foster would team up again in a couple years for Passage West (1951). El Paso‘s getting the glorious 4K treatment they’ve been giving the Republics. And they’re dragging out some guy to do another commentary. Watch for it this summer. 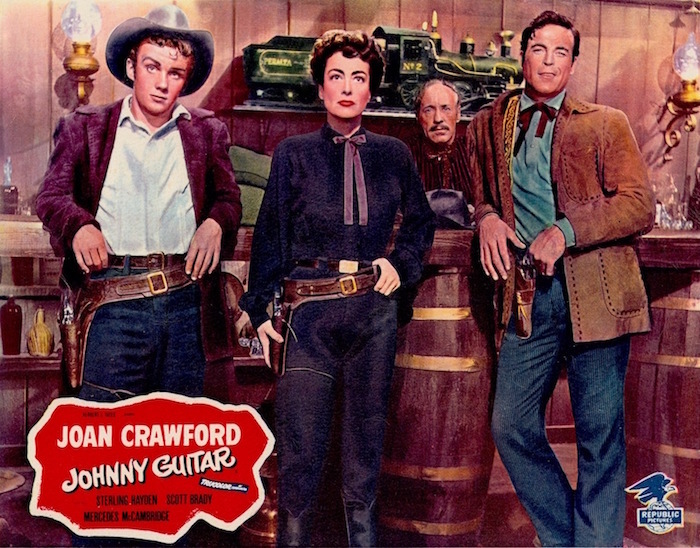 Ben Cooper, Joan Crawford and Scott Brady in Johnny Crawford (1954). Was doing some research on The Last Command (1955) and A Strange Adventure (1956), two Republics starring Ben Cooper that are on the way from Kino Lorber. I don’t like what I found. Turns out, Ben’s in a memory care facility in Memphis, Tennessee. A GoFundMe page has been set up to help with his expenses. 50s Westerns DVD/Blu-Ray News #258: The Last Command (1955). Kino Lorber has announced the upcoming DVD and Blu-Ray release of The Last Command (1955), Republic’s Trucolor tribute to the brave men who fought at the Alamo. Made after John Wayne took his Alamo movie and left the studio to produce his movie on his own. My mom was from Texas, and The Last Command never failed to tear her up. It doesn’t have the spectacle of Wayne’s The Alamo (1960), but it’s got plenty going for it, and I’m looking forward to doing a commentary for this one.